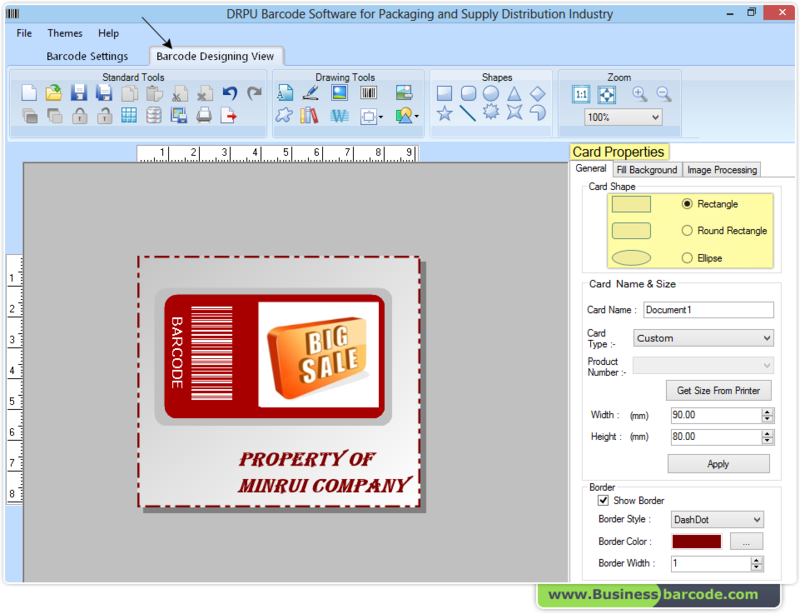 Batch bar-coding software generates industry standard barcode labels in 2D and Linear font symbologies. Using bar code software, you can create colorful and attractive barcode labels to fulfill all labeling needs of packaging and distribution industry. Barcode generator software save created barcode image in multiple file formats including JPEG, TIFF, Bitmap, PNG, WMF, EMF, EXIF and GIF in PC for future uses. Barcodes label printing software broadly used in Wholesale packaging supplies, Food packaging supplies etc. Barcode generator download trial demo is available to recognize all settings of tool before purchase complete version of barcode creator tool. Software provides option to print bulk barcodes or multi-copies of same barcode in a single paper with advance barcode system facility. Easily generate standard barcode label, use software with wonderful image designing objects like Line, Ellipse, Pencil, Rectangle, Text and Picture etc.